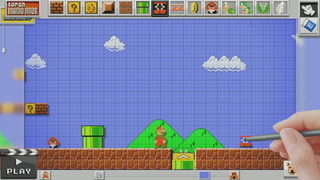 Admit it: you've always dreamed about making your own Super Mario Bros. levels. We all have. Well, we'll finally be able to once Mario Maker comes out for the Wii U.
Nintendo just announced the new game during its E3 Nintendo Direct address. As the title implies, the game lets you try your hand at building levels modeled after the most iconic series in gaming.